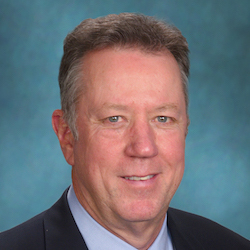 As President and Chief Operating Officer, Mr. Dillahunty is responsible for Henkels & McCoy, Inc.’s three operating regions (East, Central, and West) as well as the Pipeline Division. He is also responsible for the implementation of the company’s market strategies for power, oil & gas pipeline, gas distribution, and communications. James M. Dillahunty, a third generation contractor, has served the utility industry for over 35 years. In his 27-plus years with Henkels & McCoy, Mr. Dillahunty’s success in developing large, complex projects and programs has helped drive significant company growth. His contributions include leading the Western Operations, Pipeline Division, and several ventures internationally. He is one of the organization’s most accomplished executives in cultivating relationships with many of the company’s largest customers. Senior Vice President and Chief Administrative Officer, Henkels & McCoy Group, Inc.
President, H&M Shared Services, Inc.
As the Senior Vice President and Chief Administrative Officer for Henkels & McCoy Group, Inc., J. Daniel Pigott Jr. provides general executive leadership. In addition, in his role as President of H&M Shared Services, Inc., Mr. Pigott provides leadership and oversight of corporate functions in support of strategic goals and business unit operations. Mr. Pigott has nearly 38 years of experience at Henkels & McCoy and has served in numerous roles of increasing responsibility, including: Manager of Major Projects, Vice President and Engineering Division Manager, Vice President of Corporate Sales & Marketing, Vice President of Project Management, and Senior Vice President of Corporate Services. 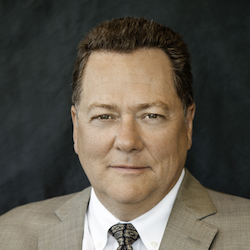 Mr. Pigott serves on the Board of the Telecommunications Industry Association, which he previously chaired. Mr. Pigott holds a Master of Business Administration from Wilkes College and a Bachelor of Science in Mechanical and Ocean Engineering from the University of Rhode Island. Senior Vice President of Communications, Henkels & McCoy Group, Inc.
James A. (Jim) Duffy Jr.’s business development skills have driven Henkels & McCoy business forward. Through his work in the East Region, Henkels & McCoy has expanded and grown its customer base while maintaining consistent bottom-line performance. 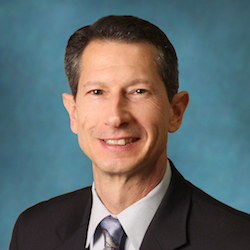 Senior Vice President of Power, Henkels & McCoy Group, Inc. 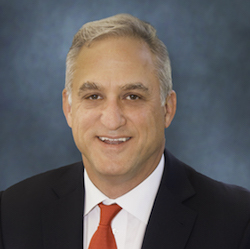 Regional Vice President of the West Region, Henkels & McCoy, Inc.
Michael J. Giarratano’s involvement in the power and gas utility engineering and construction business, as well as organization design and integration, is integral to the success of Henkels & McCoy. 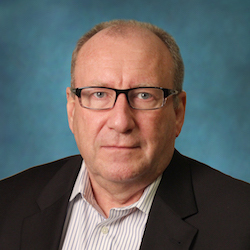 During his 40 years in the industry, Mr. Giarratano served as President of the Utility Transmission & Distribution segment of Willbros Group, following the acquisition of Hawkeye Group and Infrastrux T&D Services, where he also served as President. Prior to that, he began his career in the nuclear power industry moving on to a division manager role for a northeastern utility. Vice President of Finance, Henkels & McCoy Group, Inc.
Treasurer and member of the Board of Directors of the subsidiary companies of Henkels & McCoy Group, Inc.
Joseph C. Paulits IV leads the team that provides the treasury, accounting, tax, credit and collections, internal audit, business insurance, and disbursements functions for the company, and is responsible for maintaining the company’s financial control environment. Mr. Paulits began his career as an auditor with Ernst & Young and has served in numerous financial management positions with Henkels & McCoy since 1988. 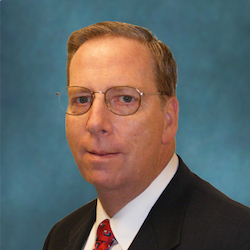 Mr. Paulits is a Certified Public Accountant and Certified Treasury Professional. He holds both a Bachelor of Science and a Master of Business Administration degree from Philadelphia University. Vice President and General Counsel, Henkels & McCoy Group, Inc.
Vice President and General Counsel, H&M Shared Services, Inc.
Caroline Henrich began her career with Henkels & McCoy in 2015 with a primary focus on managing and integrating best practices around contractual risk, managing all litigation, and ensuring regulatory compliance. Prior to joining Henkels & McCoy, Mrs. Henrich held positions in private law practice specializing in energy, labor, and litigation. She served as inside counsel in various companies including Eastern Associated Coal Corp., NiSource: Columbia Gas, and Valero Energy Corporation: Premcor Refining. She also previously served as Vice President and Corporate Officer for Norsk Hydro, an international aluminum manufacturer. Mrs. Henrich holds an undergraduate degree from the University of Michigan, a law degree from the University of Pittsburgh, and a Master of Laws degree from Pace University in Environmental Law. 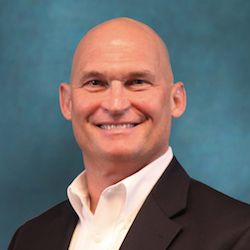 Vice President of Health, Safety, and Environmental, Henkels & McCoy Group, Inc.
As Vice President of Health, Safety, and Environmental of Henkels & McCoy Group, Andrew J. Salvadore provides strategic leadership in safety performance for all employees throughout North America. Mr. Salvadore has more than 30 years of experience as a Certified Safety Professional, with expertise in risk management, loss prevention/reduction, behavioral safety management, corporate governance, and compliance programs. 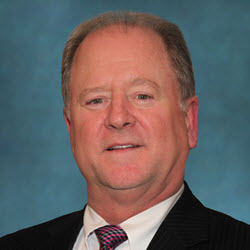 Prior to joining Henkels & McCoy, Mr. Salvadore held positions at the Asplundh Tree Expert Company, Martin Marietta Aerospace, and EBASCO Constructors, Inc. Other notable accomplishments include numerous certifications from the Insurance Institute of America, OSHA, and the National Safety Council, among others. Mr. Salvadore is a member of the Electrical Transmission and Distribution OSHA Partnership, the Edison Electrical Institute, the American Society of Safety Engineers, and the Penn Del Chapter of the International Society of Arboriculture. Mr. Salvadore holds a Bachelor of Science in Safety Science from Indiana University of Pennsylvania. Vice President of Human Resources, Henkels & McCoy Group, Inc.
David M. Lamoreaux is responsible for the oversight of all human resource programs and activities throughout the Henkels & McCoy Group companies. Mr. Lamoreaux joined Henkels & McCoy in 2009 and has been instrumental in implementing solutions for business matters related to employees and other human resource functions. 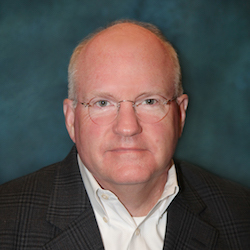 His previous managerial leadership at CUH2A; Architecture, Engineering, Planning, Inc.; Baxter International; and Automatic Data Processing Inc., has added a unique business perspective to the Henkels & McCoy Group companies, which have deep, employee-focused cultures. Mr. Lamoreaux holds a Bachelor of Arts in Human Resources Administration, Industrial Relations and Organizational Behavior from Temple University.